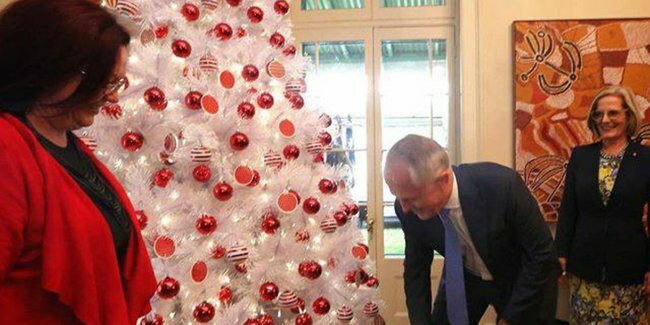 Under the PM's Christmas tree? A chance for a fresh start. It’s the annual dead zone in Australia. The week between Christmas and New Year’s Eve is when many Australians can luxuriate in not needing to know which day of the week it is. Not in Canberra. This is the season for a small scandal and a front bench reshuffle. This afternoon the Prime Minister Malcolm Turnbull released a statement saying he has effectively accepted resignations from two ministers, Jamie Briggs and Mal Brough. Both will step down from their front bench positions amid allegations of inappropriate behaviour in one case, and allegations of corrupt conduct in the other. The Prime Minister Malcolm Turnbull agreed. Exactly what “inappropriate” conduct manifested, is unclear. But it’s hard to join the dots between a late-night bar visit and conduct that resulted in a minister’s resignation without getting a pretty messy drawing. Shortly after Briggs’ announcement, news that Brough would step down surfaced. The Special Minister of State and Minister for Defence Material and Science will stand aside pending the completion of inquiries by police over the alleged copying of the diary of former speaker Peter Slipper. Unlike his erstwhile front-bench colleague Briggs, Brough’s scandal isn’t fresh. 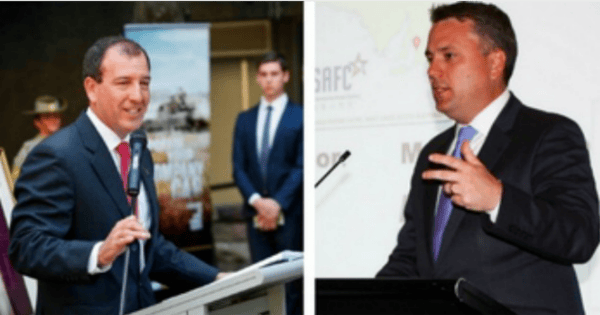 It’s been an ongoing saga and the PM has faced a steady stream of criticism for promoting Brough in the first place and keeping him installed whilst the AFP investigates. Accepting Briggs’ resignation for unbecoming conduct and allowing Brough to continue would have been an untenable position for the PM. So he nipped the two troublesome buds at once. Losing two ministers in an afternoon obviously isn’t ideal. A fact that Matthias Cormann – who will act as the minister in Brough’s portfolio in the interim – made a few years back when the shoe was on the other foot. It’s been dubbed “Take out the trash Tuesday” by Labor and there is no doubt this has been executed now precisely because many Australians are tuning out. The PM will be hoping to limit the damage. But it’s not without some upside for the PM. It means he can begin the year with a clear deck. His decisive response in relation to Briggs’ conduct, at least, is further proof that Tony Abbott & Malcolm Turnbull are very different leaders. There will be no days, weeks or even months, spent defending Brigg’s conduct like there was with Bronwyn Bishop and her penchant for helicopters. No scope for the public to become disenchanted with any obvious double standards between what is expected of ordinary Australians and those in positions of power. In Malcolm Turnbull’s cabinet the rules are simple. You fall short of what’s expected and you will be out. The other potential upside is that the reshuffle that’s now required will make way for more female ministers. Malcolm Turnbull has an opportunity to heed the advice of Canada’s PM Justin Trudeau and move towards a 50:50 split in his front bench. After all, “It is 2015”. And in a few days it’s 2016. Do you think the Prime Minister’s reshuffle is well-timed?